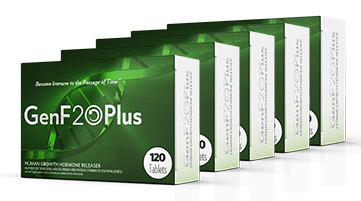 Submit Your Review and Get a FREE 1 Year Supply of GenF20 Plus™! That's right. If you send us in your before and after photos showing your success and we choose your photos to be used on our websites, we will give you a FREE 1 Year Supply of GenF20 Plus™! Come on... It does not get any easier than that. 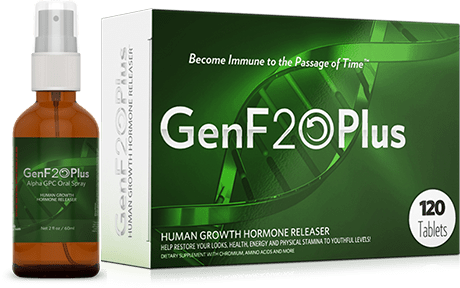 Once you receive your GenF20 Plus™ please be sure to take a picture of yourself, head-to-toe, and you must be holding the product next to your face in the shot. Next, take another picture, this time a close-up of the product by your face. To make sure we use photographs of actual customers, we require a full body photograph, but we may only publish photographs of your face and surrounding area. Then, after at least three months of using GenF20 Plus™, take another head-to-toe picture while holding the product, and another close-up picture of the product by your face. Please send these pictures in, along with a hand-written testimonial, and your full name and address. If chosen to be on the GenF20 Plus™ site, we will send you a release form which must be signed and sent back to us. This form authorizes the use of your "Before and After" pictures, along with your testimonial, for our website. If your photographs are used on our website, you will receive a FREE 1 Year Supply of GenF20 Plus™. Improvement in sleep, overall health has improved... noticeable gains in energy and motivation and improved sexual desire! I have used GenF20 for a couple of years now and have noticed a difference maintaining weight, better skin and definition. I have more energy and can pretty much do and look exactly the same as when I was younger... GenF20 just seems to keep my age where I’m at! Everyone Says I Look 35... And I’m 50!